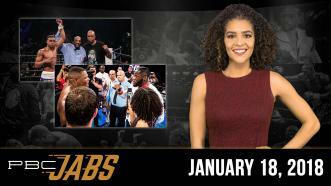 Welcome to a special edition of PBC Jabs from the FOX studios in Los Angeles, California, where we’re giving you an inside look at the PBC on FOX press conference. 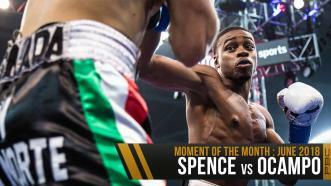 On June 16, 2018 welterweight champion Errol “The Truth” Spence Jr. defended his IBF title with a first-round KO of Oscar Ocampo in a Dallas-area homecoming fight. 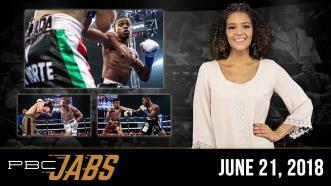 This week on PBC Jabs, we recap our June 16th Showtime show from the Ford Center in Frisco, TX, and we check in with IBF 147-pound world champion Errol Spence Jr. following his victory over formerly unbeaten Carlos Ocampo. 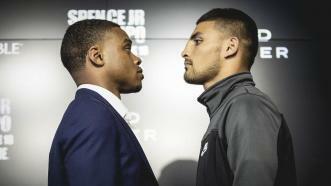 Errol Spence Jr. will defend his IBF 147-pound world title for the second time against mandatory challenger Carlos Ocampo on June 16, 2018. 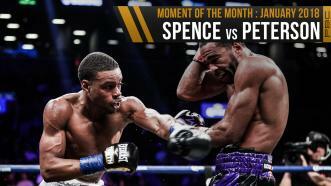 In this video, Spence gives offers his analysis of his future opponent. 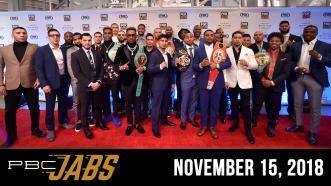 This week on PBC Jabs, we recap our April 28th PBC on FOX show, Errol Spence Jr. announces his return to the ring and Keith Thurman relinquishes his WBC title. Unbeaten IBF Welterweight World Champion Errol Spence Jr. defended his 147-pound title for the first time as he stopped former two-division titleholder Lamont Peterson Jan. 20 on Showtime Boxing. 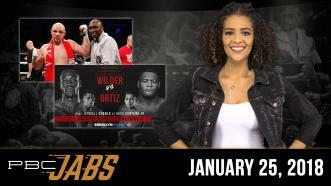 Errol Spence Jr.’s trainer Derrick James tells us what makes Lamont Peterson dangerous and Deontay Wilder vs Luis Ortiz is all set for March 3rd. 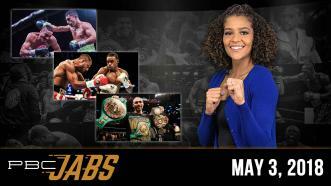 That and more this week on PBC Jabs.